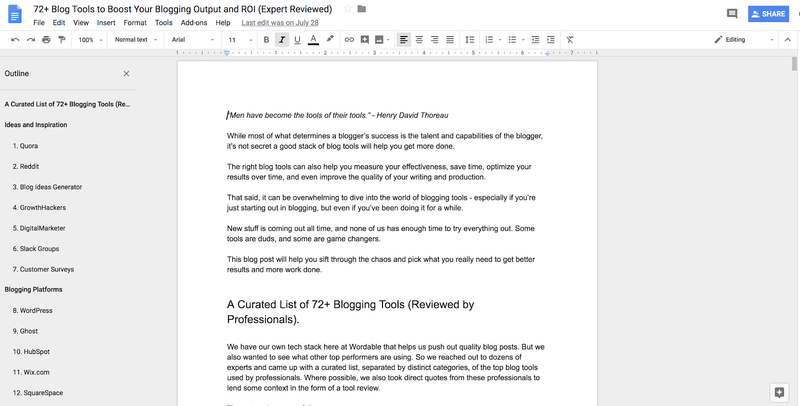 Uploading Google Docs to WordPress used to be a chore. It’s hard enough to come up with good blog post ideas, write them efficiently, and edit your work (and possibly that of other writers). Then you have to spend an extra couple hours tediously re-formatting the article you’ve already written in Google Docs for WordPress. What nonsense. Luckily, there’s a solution. This post will outline how you can save hours and upload Google Docs to WordPress in 5 simple steps. We’ll also outline some alternative ways to go about it if you don’t plan on checking out Wordable (we’ve got a free trial, though, so there are no risks or downsides). Do a final sweep of your content and click publish! First thing’s first: go to Wordable.io and click “Try Free.” Sign up for a free account. Sign up should only take a few moments. You’ll be asked to authenticate your account using Google, and then you’ll have to set up a WordPress property connection. All of this should take a very short amount of time. Before you do anything regarding upload your Google Docs to WordPress, you’ll want to give it a final sweep over in Google Docs. Make sure it’s fully formatted and edited in Google Docs before moving forward. Once you’ve determined things look good in Google Docs (did you check your font styles, image placement, captions, and headlines? ), you can go ahead and click the “export” button under the “actions” column. All of this is found in the “Documents” section of the Wordable dashboard. 4. Find your draft in WordPress’s “posts” section. If you use a tool like Yoast, you’ll need to add all of that information in as well. No matter what, it always helps to measure twice and cut once. Do a QA check, and click “publish.” You’re live! That was easy, right? What are the alternatives to using Wordable to upload Google Docs to WordPress? Write your draft in Google Docs. Do all editing there and format using proper headlines and font styling. 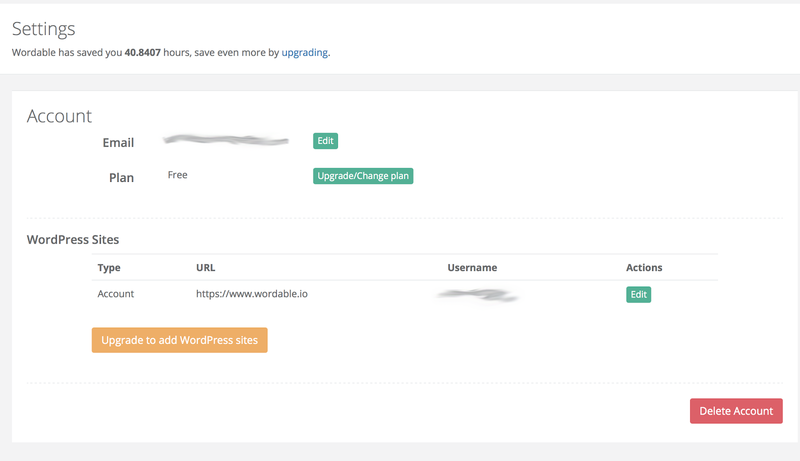 Create “new post” in WordPress. This step can take anywhere from 20 minutes to several hours. Do a final sweep, QA, and publish. The time it takes to do that is a few hours. The time it takes to upload using Wordable is less than five minutes. Other possible solutions? Zapier has a connection between Google Docs and WordPress, but it’s not very suitable for publishers. You could technically create a Zap to create a new post whenever you have a new draft in Google Docs. But that assumes finality to your draft. What if you want to add, remove, or change content? Tough. So it’s not the best solution for someone operating content production at scale. QA in WordPress and hit publish. Wordable has a free trial. Give it a try. If you publish more than once per month, it’s worth the cost in the amount of time and effort you save.